Zoom to the top of the class as TV star Carol Vorderman shows you the basics behind genius grades. 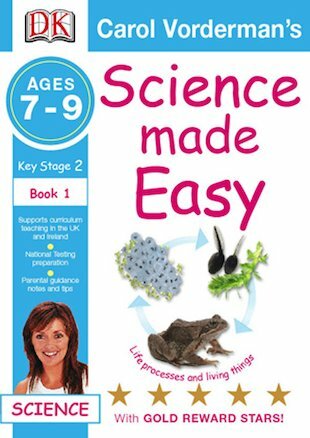 These fill-in workbooks for Key Stage 2 are the ideal way to get your science up to scratch. Explore materials. Learn about living things. Stick the reward stickers on the progress charts. Soon you’ll be amazed at how much you’re improving. Science is easy when you do it Carol Vorderman’s way! Each book includes a progress chart, gold star stickers and parents’ notes. Supports the curriculum.